1940 Lucky Strike Cigarettes original vintage advertisement. Features view of a tobacco farm with farmer James Callis and Agnes Williams of North Carolina. 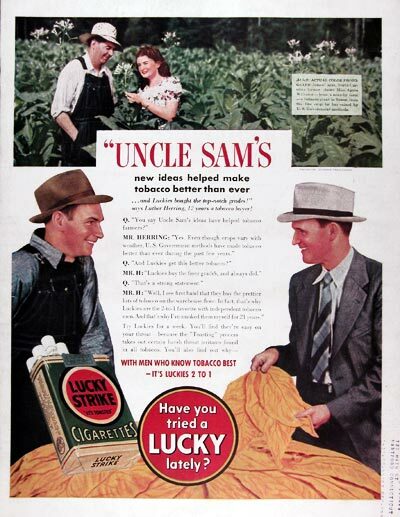 With men who know tobacco best, it Luckies 2 to 1. Excellent; address stamp lower right.